This image is licensed from Wikimedia Commons under CC BY-SA 3.0. Are you on Santa’s Naughty or Nice list this year? If all you’ve discovered in the toe of your stocking this morning is a lump of coal, it might not be as terrible a present as you think. Look closely, and you might find that Father Christmas has brought you a fossil plant or two! 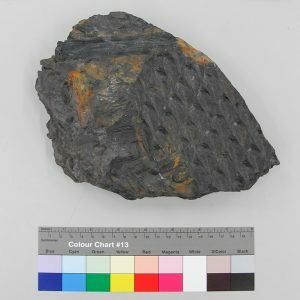 Coal is formed from dead and only partially decayed plant material. 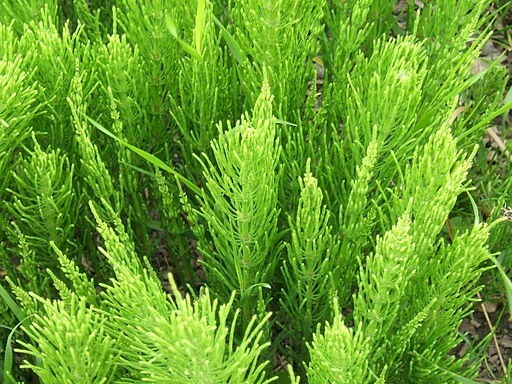 Essentially it is peat that has been subjected to heat and high pressure changing it from the soft brown material widely used in gardening into the hard black coal. 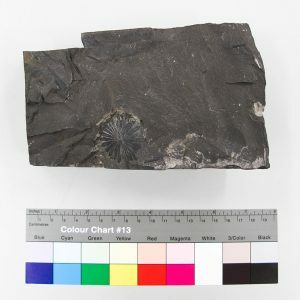 These two are examples of Lepidodendron, a plant fossil commonly found in carboniferous rocks. Known as the ‘scale tree’, the diamond shapes are in fact scars left by the shedding of leaves as the plant grew. 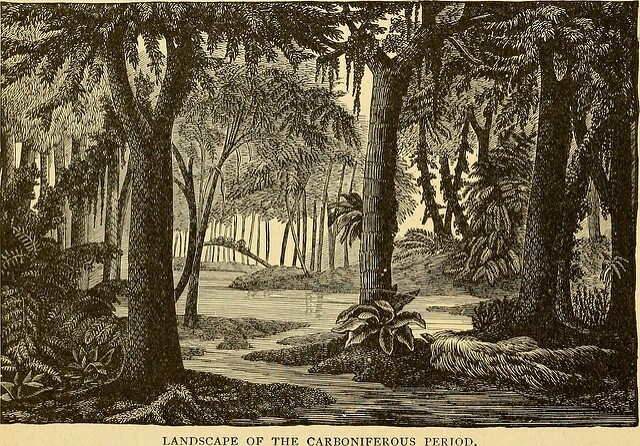 But what did the plants of the carboniferous era actually look like? There are plenty of artistic interpretations, like the one below which is part of Ridpath’s “History of the World”, published in New York in 1897. The complete book is available to view online – this image is on page 86. 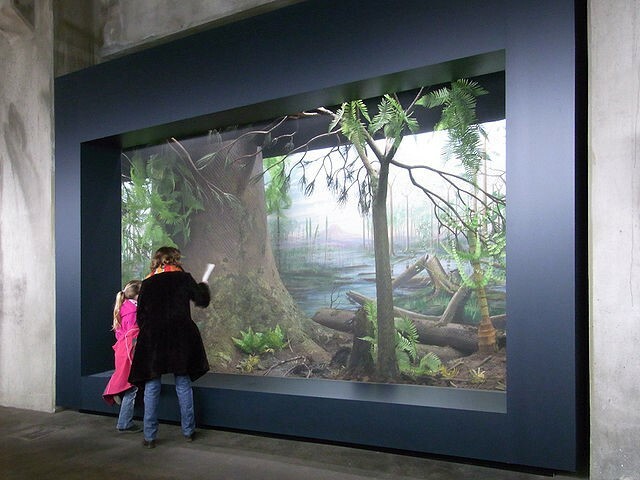 Museums around the world also have dioramas to show accurate depictions of various types of habitat, often predominantly featuring animals, but the plants play a vitally important part of these depictions too. The American Museum of Natural History, perhaps the most famous home of the museum diorama, has a hall dedicated to North American Forests – albeit modern ones. 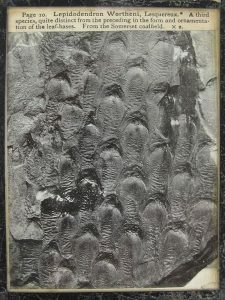 The Field Museum in Chicago have a carboniferous period diorama, of which this National Geographic article includes a photograph. The diorama above is at the Ruhr Museum in Germany, part of the Zollverein Coal Mine Industrial Complex, which is now a UNESCO World Heritage Site. 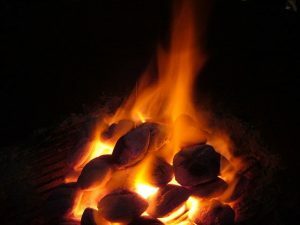 This is probably one of the best places in Europe to learn about coal all the way from its prehistoric origins right through to its modern industrial history. 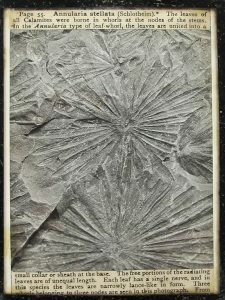 This entry was posted in Advent, Herbarium RNG, Public Engagement with Science and tagged #AdventBotany, #AdventBotany2018. Bookmark the permalink.